For many of us, Brexit has become the white elephant in the room. Despite continuing to dominate headlines, very little is known about the shape Brexit is actually going to take. Therefore it is hard to know what we can actually say about it. Instead, we’re following the high-level debates taking place among politicians and business leaders in the hope that these will eventually shed some light on what is currently a very confusing situation. Just because we don’t know what is going to happen doesn’t mean that we should pretend that Brexit doesn’t exist, however. Instead we should all be thinking about what Brexit means for our businesses – how it affects our clients, what kind of information they will want to know and when, and how we can use our communication and content strategy to position ourselves as ‘Brexit experts’ so that we get the edge on our competitors. Despite the uncertainty right now, one thing is clear – the Brexit process is going to last for a number of years and many organisations are going to make a lot of money out of it. So you will want to make sure that your organisation is one of them. 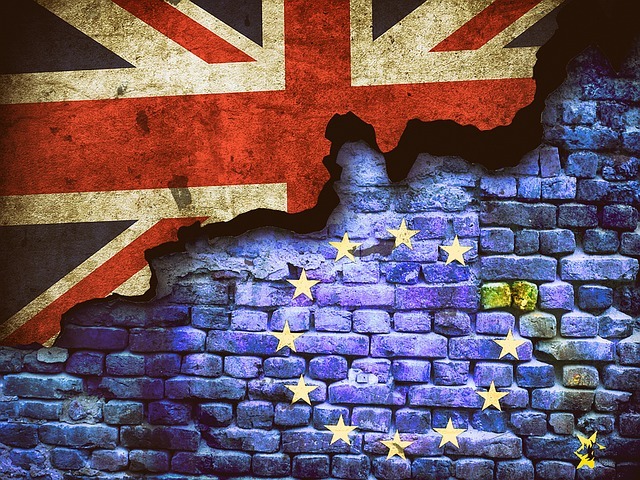 With that in mind, here are some tips on developing a communication and content marketing strategy to ensure that your organisation is ‘Brexit ready’ as the future unfolds. Gather your team together and think about what Brexit will mean for your business and your clients in the short, medium and longer term. What are the sorts of questions your clients are likely to start asking you? Are their business needs likely to be affected as a result of the UK leaving the EU? If so, are you well placed to meet those needs? Is this an opportunity to introduce a new service or win new clients? Which of your clients are likely to benefit or suffer as a result of Brexit? Will you need to scale your services to them accordingly? Remember that any opportunities may not be immediately obvious, but that doesn’t mean they don’t exist. Once you’ve established where the opportunities lie, work out what you need to do to support them from a content and communication point of view. Should you have a Brexit update slot on your website home page or even a dedicated Brexit microsite? Do you want to set aside some of next year’s marketing budget for a regular Brexit newsletter (maybe you could even niche this towards clients in a particular market sector)? 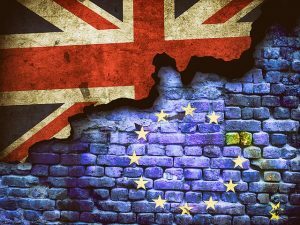 Can you use Brexit as an opportunity to broaden your communication offerings, for example webinars for clients on the latest developments in Brexit? Do you have a plan for what you will do on the first anniversary of the referendum? That is a logical time to undertake some kind of marketing activity for clients, perhaps a blog series entitled ‘Brexit, a year on… What do we know now?’ Some enterprising firms have already developed their own Brexit apps. If the local paper rings up tomorrow and asks to speak to your ‘Brexit expert’, who is the receptionist going to put them through to? If you don’t have an answer to that question, now is the time to come up with one. As we find out more about what Brexit will entail, there are likely to be reverberations in every community and every industry. You need someone who is responsible for following all the latest developments and keeping their ear to the ground among the client community. You may even pick up good stories in this way, which you can pass on to the press and raise the profile of your business in the process. There were lots of surveys about voting intentions in the run-up to the referendum, but less research is being undertaken now. The big business associations and trade associations in financial services are busy lobbying the government and putting their views across, but what about the entrepreneurs who are the engine room of the UK economy? What about non-doms? What about pensioners? What about the farming community? What about builders? What about universities and other public-sector bodies? Are they losing contracts, staff and confidence? Are they missing out on valuable EU funding? Or are they finding new opportunities amid the confusion? Has morale been boosted or has it been hit by the referendum result? What is more important to them – access to the Single Market or tighter border controls? Do entrepreneurs expect their businesses to grow or shrink over the next few years? Have any of them thrown in the towel due to the referendum result? There are lots of good questions that you can ask your clients right now and you can turn the answers to these questions into interesting press releases that might generate press coverage. Journalists love a good set of statistics! Regardless of the current uncertainty, Brexit gives you a chance to set your business apart from the rest of the pack. So don’t wait till everyone is churning out a Brexit newsletter to get your ducks in a row. Stay ahead with a little upfront thinking. Follow the news organisations that already have dedicated Brexit teams, make notes of any interesting developments and keep asking yourself what it all means for your own business and those of your clients. It’s time to start talking Brexit. The government may have been caught off-guard by what happened in June 2016, but that doesn’t mean you need to be caught off-guard by what happens next. If you would like to find out more about how Love Letters can help you to communicate on Brexit, click here.